Arthritis (arthro = joint, itis = inflammation) is a term used to describe and group chronic conditions characterized by inflammation in the joints and other body regions. Risks of arthritis increase with age. 1 in 5 Canadians have arthritis. 1 in 2 adults over the age of 65 have arthritis. It does affect children, it is NOT just a disease for the aging population. As difficult as it may sound, physical activity often has a positive effect on many types of arthritis. 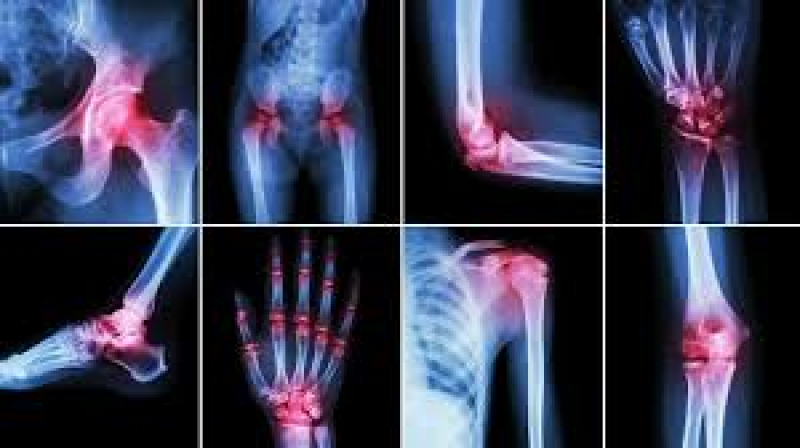 Causes of arthritis may include injury, genetics, infections, immune system dysfunctions and even abnormal metabolism. Symptoms generally involve stiffness, and may not make you want to move, along with other condition-specific symptoms depending on the type of arthritis. However, immobility will often make you stiffer. Unfortunately an arthritis medical diagnosis is with you for life. Arthritis’ impact on your day-to-day life will heavily depend on your attitude, choices, and willingness to learn more about the condition, and how you will manage it. With the right information, successful supports, and the right treatment plan & team, you can take charge of your life. Diagnosis often includes such medical investigations and tests, such as blood work analysis, x-rays, other imaging, after a thorough medical history and physical examination. Treatment can involve an array of options & health care professionals, which all share common goals to control pain, minimize potential joint damage, as well as improve joint and body movement and function. You can help yourself the most! Since arthritis is so prevalent in our society, there are many resources and support groups out there to help you & others know more and take control of your own care! Did you know that if you have been diagnosed and have OHIP coverage your sessions with a physiotherapist are covered? With more than 35 member organizations, the AAC brings together arthritis health care professionals, researchers, funding agencies, governments, voluntary sector agencies, industry and, most importantly, representatives from arthritis consumer organizations from across Canada.